Totango Spark is organized around SuccessBLOCs–a groundbreaking, modular, concept in customer success, allowing organizations to start with their most critical business priority first, and grow into broader customer success initiatives. Each SuccessBLOC contains goals that guide enterprises through the successful completion of each stage in the customer journey with relevant KPIs, dashboards, analytics and best practices. Empower your team to quickly adopt and operationalize customer centricity across your organization, enabling them to complete their digital transformation and grow your business by becoming more customer-centered. Dramatically improve the new customer onboarding journey and delight end users with a consistent, efficient experience. Detect, act on and resolve customer escalations. 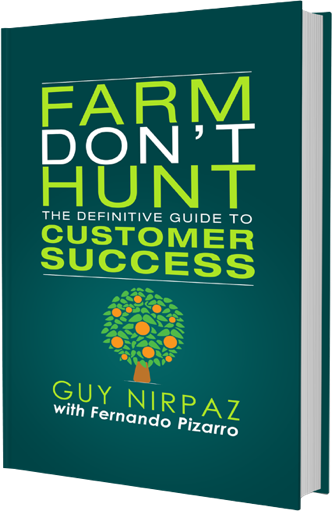 Improve the customer experience by reducing friction and frustration. Implement the right measures and processes to make sure your customers renew their subscription with you. Elevate insights to drive desired actions, help customers get the most out of your services and unlock additional value. Accelerate Your Customer Success Goals. Totango Spark is the enterprise customer success solution designed to help your team achieve their goals. 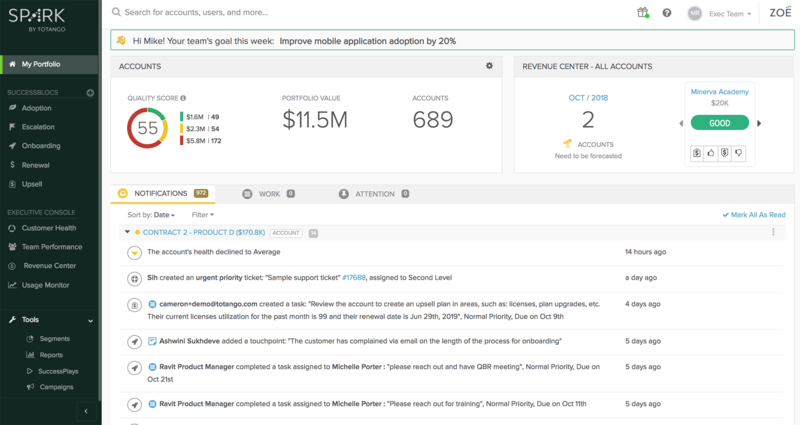 With Totango Spark, you can actively monitor all customer health signals and proactively engage at scale, resulting in focused, proactive customer success teams, increased productivity, and a lower churn rate.